We’ve scoured the web for information on your most burning questions about Thanksgiving history. We’ve listed some common questions below and linked them to great articles with the answers. 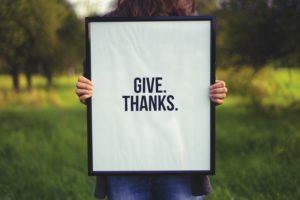 If you are a Thanksgiving enthusiast like we are, you will enjoy the articles regarding Thanksgiving facts linked below. Why do we eat turkey at Thanksgiving? When was the first Thanksgiving Dinner? What did they serve at the first Thanksgiving Dinner? Where was the first Thanksgiving celebrated? How does Canada’s Thanksgiving differ from American Thanksgiving? What are the top 5 Thanksgiving Day Parades? About how many people celebrate Thanksgiving in the USA every year? Where can you get cool t-shirts to wear this Thanksgiving season? We are proud to select Rotary as our National/International not-for-profit where a portion of all sales from Thanksgiving-first.com will be donated to this great service club through the end of 2017. We are truly blessed to give back to the Rotary organization as well as being a part of the Rotary family! So find yourself a Thanksgiving shirt or sweatshirt in our online store and support two great things: Thanksgiving and Rotary – and we are grateful to both. Happy Fall Holiday season everyone, from the Thanksgiving First family to your family.